Medical conditions related to the brain are intricate and a lot of detailing is required. Brain cancer is a dreaded disease and the surgery is complex. Only the best surgeons should be chosen as it may be a matter of life and death in maximum cases. Forerunners Healthcare Consultants is a medical value provider in India having an association with several prominent cancer and neuro-surgeons. We help overseas patients access the facilities of best medical fraternity. Excellent panel : Forerunners Healthcare Consultants works with only the best surgeons and doctors, a prerequisite in treating any medical condition home or abroad. Primary facilities : We assist patients in arranging medical visa, accommodation for the patient and family, meals, appointment with surgeon. Professionalism : The benefit of Brain Cancer Surgery in India through the Forerunners Healthcare Consultants is that the team ensures utmost care to maintain ethics in meeting patient’s medical needs. Your Budget : Financial aspects affect medical treatments in a huge way. We offer low cost Brain cancer Surgery at the top brain cancer hospitals in the world within your budget. Other vital services : We also take care of quick visa letter, health diet as advised by your attending surgeon, to and fro airport travel, vacation tour, etc. My name is Zang, and I am from Nigeria. My doctor had recommended Brain Haematoma Surgery but there are meager health facilities in Nigeria. So I searched on the internet for better options and came across Forerunners Healthcare Consultants which helped me receive treatment under a highly skilled surgeon in Hyderabad, India. I have been given a second life, thanks to Forerunners Healthcare team and the doctors. Brain Cancer the very words strike fear in the heart of anyone suffering from one. It once was considered as one of the most frightful events that could occur. Though, the treatment of brain cancer is extremely difficult because of polyclonicity, the Blood: Brain barrier, the diffuse infiltrative nature of these tumors, and the perilous location of some tumors. However, with improving technology and the gradual unfolding of scientific understanding of the basic biology of brain tumors, patients and families can look to the future with considerably more hope. Hence with Brain Cancer Surgery performed using these modern methods makes the patient stand up with courage and confidence. A Brain Cancer is a group (mass) of abnormal cells that start in the brain. Cancers of the brain are the consequence of abnormal growth of cells in the brain. Brain cancers can arise from primary brain cells, from the cells that form other brain components (for example, membranes, blood vessels), or from the growth of cancer cells from other organs that have spread to the brain by the bloodstream (metastatic brain cancer). Malignant tumors are often cancerous which grow and spread aggressively, overpowering healthy cells by taking their space, blood, and nutrients. What are the various types of Brain Cancer? Which are the Top Brain Cancer Hospitals in India? The top hospitals for brain cancer surgery in India are equipped with state of the art diagnostics to provide a wide range of cancer treatments. Our best doctors for brain cancer in India will evaluate and discuss the findings to chart out the optimal plan of brain cancer treatment for each patient based on established national and international guidelines and protocols. The most common symptoms of brain cancer are weakness, difficulty in walking, seizures, and headaches. Other common symptoms are nausea, vomiting, blurred vision, or a change in a person's alertness, mental capacity, memory, speech, or personality. These symptoms can also occur in people who do not have brain cancer, and none of these symptoms alone or in combination can predict that a person has brain cancer. Cancer can occur in any part of the brain (for example, occipital, frontal, parietal, or temporal lobes, brainstem, or meningeal membranes). A few brain cancers may produce few or no symptoms (for example, some meningeal and pituitary gland tumors). How to detect the Brain Cancer? The initial test is an interview that includes a medical history and physical examination of the person by a health-care provider. The results of this interaction will determine if other specific tests need to be done. The most frequently used test to detect brain cancer is a CT scan (computerized tomography). This test resembles a series of X-rays and is not painful, although sometimes a dye needs to be injected into a vein for better images of some internal brain structures. Another test that is gaining popularity because of its high sensitivity for detecting anatomic changes in the brain is MRI (magnetic resonance imaging). This test also resembles a series of X-rays and shows the brain structures in detail better than CT.
MRI is not as widely available as CT scanning. If the tests show evidence (tumors or abnormalities in the brain tissue) of brain cancer, then other doctors such as neurosurgeons and neurologists who specialize in treating brain ailments will be consulted to help determine what should be done to treat the patient. Occasionally, a tissue sample (biopsy) may be obtained by surgery or insertion of a needle to help determine the diagnosis. 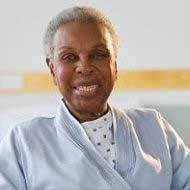 Other tests (white blood cell counts, electrolytes, or examination of cerebrospinal fluid to detect abnormal cells or increased intracranial pressure) may be ordered by the health-care practitioner to help determine the patient's state of health or to detect other health problems. It is vitally important to enter into Brain Cancer Surgery with a positive attitude. While the extent of involvement, type of tumor and surgical skills all play a role in the surgical outcome, going into the procedure with a sense of well being will help prepare your body to respond more effectively. Prepare yourself for a lengthy and possibly arduous recovery process, and expect good results. Removing a cancerous tumor requires the expertise of neurosurgeons specially trained in the techniques of removing as much of the tumor as possible without damaging the surrounding healthy tissue. This is a very delicate call, especially if the tumor is malignant. Surgery to remove a benign brain tumor may resolve the problem without the necessity of any further treatment. Malignant tumors are life-threatening and usually require additional measures, such as radiation. Brain surgery may be the only way to determine if the tumor is benign or malignant. Examination of the tissue under a microscope is the only way to confirm the diagnosis in some cases. Brain tumor surgery may be necessary for clarifying the extent of the tumor. It is hard to define the borders of some tumors until they can actually be viewed by the neurosurgeon. Allow access to the brain tumor via surgery to implant radiation pellets. Some tumors are inoperable and the only way to treat them effectively is with direct radiation contact. What are the various procedures for Brain Cancer Surgery? Craniotomy: Craniotomy means "cutting into the head." All conventional brain surgeries begin this way. The opening will be as close to the tumor as possible. Some tumors are best approached through the nose or the top of the neck. Most approaches go through the scalp and the skull to expose the upper part of the brain (the cortex). During this procedure, the skin which is usually the scalp is shaved and an incision is made. Then a piece of the skull bone is removed to expose the brain. In select circumstances, once the brain is exposed, the surgeon may do some mapping to identify functional areas of the brain. The tumor will be exposed, isolated from normal brain, and removed. The surgery may take several hours. Biopsy: A biopsy is a sampling of tissue from a surgery. The doctor examines the biopsy to make a diagnosis. Biopsy tissue can be obtained via a craniotomy, or it can be obtained through a smaller surgery called a stereotactic biopsy. The surgeon drills a small hole through the skull. He then uses imaging to guide a needle into the brain and tumor. A sample of tissue is removed. The decision of whether to proceed with a biopsy or a larger craniotomy will be made by your team. Shunts: Pressure inside the skull is a critical factor, since the brain is very sensitive to pressure changes. Increasing pressure rapidly impairs brain function and can be potentially fatal. If this happens, it can be treated with a relatively simple procedure known as a shunt. In a manner similar to taking a biopsy, a small hole is made in the skull. Through this hole, a tube is inserted into one of the fluid-filled spaces inside the brain. The other end of the tube is passed under the skin from the head to the trunk where it drains fluid into the heart or abdomen. A one-way valve in the tube prevents back flow into the brain. A potential problem with a shunt is that in moving fluid from the brain to the lower portions of the body (to relieve pressure in the brain), the surgeon may unwittingly be moving the brain tumor cells along with the fluid. Microsurgery: Operating microscopes are commonly used during neurosurgery. Magnification greatly increases the precision with which an operation can be done. This is extremely delicate operation which is being performed using such methods as microscopy, navigation, CUSA, laser, and stereotaxis. Operations, which would have resulted in death or permanent impairments some time ago, now end up with recovery. Embolization: The blood supply to tumors can be identified by angiography. This blood supply can then be shut off by introducing a variety of plugs. These plugs can block the artery from the inside, causing the tumor to die from lack of blood flow. It works by blocking the vascular supply to a tumor. The blockage is usually performed via an endovascular approach but may also be performed by direct percutaneous injection of embolic agents into the tumor. The procedure is usually performed in a single session, simultaneously with diagnostic arteriography, but may also be performed in multiple staged sessions. What are additional surgical procedures for Brain Cancer Surgery? Thermal destruction instruments (example, Lasers) can be placed in the exact spot to destroy tumor tissue. There is an ongoing investigation evaluating other methods of locally administering radiation and chemotherapy. You can discuss these options with your team. What post-operative care is to be taken after Brain Cancer Surgery? The bandages on the surgical wounds need to be removed and replaced regularly. The scalp should be kept dry when the staples are not removed. The patient may be required to take up certain therapies to improve strength and coordination. Scalp hair may be washed in about 2 weeks after surgery. Hair dyes and any hair cosmetics should be avoided. The patient may be advised to avoid taking flights for about a month after the surgery as the cabin pressure may cause some problems to the patient’s brain. The doctor should be consulted about the nature of the work if the patient is resuming job. Sports such as boxing and rugby should be avoided for a minimum of 12 months after the surgery. The patient should avoid drinking alcohol in large amounts as this may lead to seizures. How much time is required to recover after Brain Cancer Surgery? After the surgery the patient is taken to the recovery room. The patient is shifted to the neurosurgery ward once the patient regains consciousness. The patient is then closely monitored in the ICU. The patient’s pupil reactions are tested and limb movements are evaluated. The patient may experience nausea and headache. The eyes may also swell and be bruised due to the surgery. The wound will feel uncomfortable for many weeks. Pain medication may be prescribed by the doctor. The scar will heal slowly and become less noticeable in 6 to 12 months. Partial recovery is possible in 1 to 4 weeks. 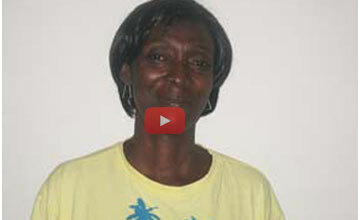 The patient may be able to fully recover in 8 weeks after the surgery. What are advance Brain Cancer Surgeries? Computer-assisted volumetric stereotaxis: This is a method for gathering, storing and reformatting imaging-derived, three-dimensional volumetric information defining an intracranial lesion with respect to the surgical field. With this technique a surgeon can plan and simulate the surgical procedure beforehand, in order to reach deep-seated or centrally located brain tumors employing the safest and least invasive route possible. Gamma Knife surgery: This procedure is unique because, with the Gamma Knife, no surgical incision is performed to expose the target. The Gamma Knife isn't really a knife at all, but Radiosurgery - a non-invasive neurosurgical procedure that uses powerful doses of radiation to target and treat diseased brain tissue while leaving surrounding tissue intact. This state-of-the art technology allows physicians to operate on brain lesions often considered inoperable. Gamma Knife treatment offers new hope for patients with brain tumors, vascular malformations and functional disorders. Why prefer India for Brain Cancer Surgery? India is recognized as one of the most important destinations for Low Cost Brain Cancer Surgery. A huge crowd of international patients from all across the world come to India for a nice blend of best brain cancer specialists with top-class medical expertise in performing advanced brain tumor surgery at attractive prices is helping more and more Indian corporate hospitals to bring more and more foreign patients, including from the developed nations for high end surgeries pertaining to various disease including the Brain Cancer. Because of these advantages of brain cancer surgery, many international patients prefer India to get this treatment done instead of going to other European countries. 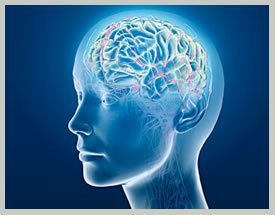 The Cancer Hospitals in India are well equipped with the most advanced medical treatment and brain tumor healing techniques and are competent to deliver quality treatment to the global patients. They have the most extensive neuro-diagnostic and imaging facilities including Asia’s most advanced MRI and CT technology. 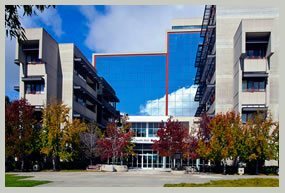 These Hospitals offers you a magnitude of imaging services like EEG, EMG, Sensation 10 CT Scanner, Functional MRI with Spectroscopy, OPMI Multivision etc. Personalized care and attention is provided with value added services besides results of world class standard at a very low cost affordable to all sections of society. The Brain Cancer Surgery in India is available at various hospitals in the following cities with latest amenities and state-of-art-facilities. Low cost brain cancer treatment in India under the shadow of Forerunners Healthcare has been a great experience. This medical tourism company has been satisfactory with all the best services, facilities and expert hands on board to treat almost all diseases especially fatal concerns like cancer. Leveraging the level of satisfaction while undergoing the course of treatment, I discovered that the doctors here are extremely compassionate towards their patients as well as their profession. India is the most preferable destination for patients who are looking for low cost Brain Cancer Surgery. The cost of the Brain Cancer Surgery in India is typically a fraction of the cost for the same procedure and care in the US and other developed countries. Comparing Brain Cancer Surgery cost in India with the same treatment procedure in other countries, the price for surgery would be 30-50% lower. The cost can vary depending on the type of surgery required and other medical conditions of a patient. The costs of the Brain Cancer Surgery based on the type of the surgery required in various countries in the chart / table are given below. The price comparison is given in USD. *The price for the Brain Cancer Surgery is an average collected from the 15 best corporate hospitals and 10 Top Neurosurgeons of India. 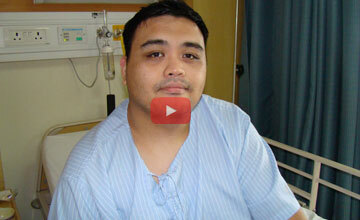 How to get Low Cost Brain Cancer Surgery in India? We have worked out special packages of the Brain Cancer Surgery for our Indian and International patients. You can send us your medical reports to avail the benefits of these special packages. You would be provided with 3 TOP RECOMMENDED SURGEONS / HOSPITALS FOR YOUR BRAIN CANCER SURGERY in India. How many International patients came to India for Brain Cancer Surgery? 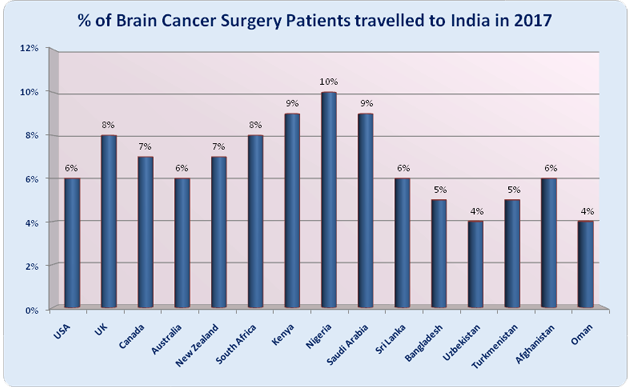 The list of TOP 15 countries from where the Brain Cancer Surgery Patients travelling to India are given below. The major reason of large number of patients travelling to India for medical treatment from these countries is because of availability of quality healthcare in India, affordable prices and very good air connectivity, tourism options and many more reasons. The maximum number of patients for Brain Cancer Surgery come from – USA, UK, Canada, Australia, New Zealand, South Africa, Kenya, Nigeria, Saudi Arabia, Sri Lanka, Bangladesh, Uzbekistan, Turkmenistan, Afghanistan, Oman. Here are the approximate percentage wise distributions of the patients coming from Top 15 countries to India in 2017 for Brain Cancer Surgery. 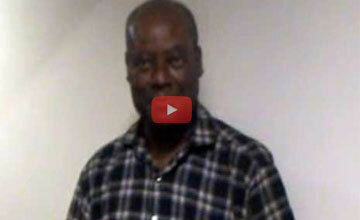 ARE YOU ALSO A PATIENT WANTING TO TRAVEL TO INDIA FOR BRAIN CANCER SURGERY? Our International Patient Executive would connect with you and answer all that you need to plan your Brain Cancer Surgery in India. What are the benefits of getting Brain Cancer Surgery in India? Cancer Hospitals in India are equipped with the most advanced medical treatment. They have the most extensive neuro-diagnostic and imaging facilities including Asia’s most advanced MRI and CT technology. Personalized care and attention is provided with value added services besides results of world class standard at a very low cost affordable to all sections of society. Is it safe to get Brain Cancer Surgery in India? Brain cancer Surgery in India is extremely safe. In fact, the surgery involves use Asia’s most advanced MRI and CT technology, services like EEG, EMG, Sensation 10 CT Scanner, Functional MRI with Spectroscopy, OPMI Multivision to name a few. Individual attention with world class standard at affordable costs brings India at the apex of Cancer Surgery destinations. What are the treatments for Brain Tumors? There are numerous treatments for Brain Tumors namely, Craniotomy, Biopsy, Shunts, Microsurgery etc. Visit our website to know in detail about the various procedures. Like all other surgeries, brain cancer treatment may or may not hold a little risk. The risks depend upon the kind of surgery and experts can explain them best. Send us your medical report and we will inform you about possible risks after consulting our panel of experts.